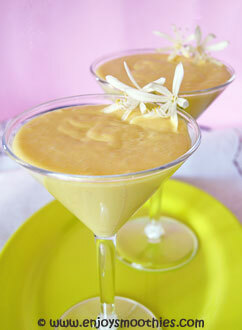 Did you know that mangos are the most popular fruit in the world, and are known as the “King of Fruits”. It’s easy to see why with their sweet flavour and soft, juicy fruit. Extremely versatile, they can be mixed with many other different fruits and flavors to create a variety of mango smoothie recipes. With a long list of health benefits, from fighting cancer, aiding in weight loss, helping to control diabetes, improving digestion and keeping skin and hair healthy, is it any wonder they are so popular? Originally grown in India, they are now cultivated and enjoyed world-wide. There are so many different ways to enjoy this exotic fruit and although delicious on their own, one of my favourites is to blitz them in the blender and create fluffy, creamy smoothies. Mangos are seasonal fruits, usually available from May to September in the Northern Hemisphere and from September to April in the Southern Hemisphere. The ripeness of mangos is determined by squeezing or smelling, not by color. Some varieties still retain some green coloring with tinges of red. Ripe mangos should also have a fruity aroma on the stem end, and the fruit surrounding the seed should be orange colored, sweet and juicy. When buying, choose fruit that is firm to the touch. When you push gently with your thumb it should give slightly, without being too soft or hard. Fruit that is too soft has started to rot. Fruit that is too hard is unripe. Look for fruit that has smooth, unmarked skin with no dark spots or blemishes. Avoid anything that looks dry and shriveled. Shape, size and color can vary considerably, depending on the variety. Mangos that are not quite ripe can be stored at room temperature. Place in a brown paper bag and leave on the kitchen counter for a few days. This will speed up the ripening process. Once ripened, store in the vegetable crisper in the refrigerator. This will halt the ripening process. Left whole they will keep in the refrigerator for around five days. Cut mangos can be stored in a plastic bag in the refrigerator for 3 days. Do you struggle to peel and cut your mangos without making a huge mess? Our step by step instructions with photos, will show you how to prepare your mangos like a pro. 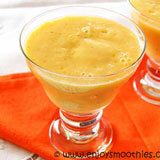 If you have never tried this delectable fruit, these mango smoothie recipes will have you whipping up a fruity snack in no time. 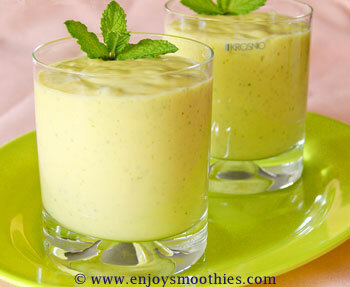 Place the mango pulp, lime juice, coconut milk, yogurt and mint into a blender and blitz until smooth. Chill and serve. 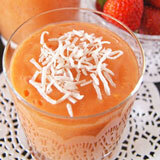 Place the mango, yogurt and coconut into a blender and process until smooth and creamy. Pour into a glass and serve. 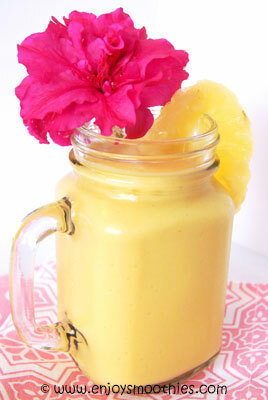 Throw the mango, pineapple, coconut milk and fresh ginger into a blender jug. 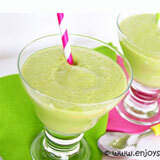 Blitz on high until all the ingredients are smooth and your drink is creamy. Although fresh is best, it’s not always possible to obtain fresh mangos as these are grown in warmer climes. Sometimes we need to look for alternatives. Frozen is the next best, but if that’s not available then use the canned varieties. 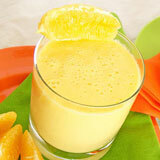 To limit the amount of sugar, look for fruit canned in natural juices.